Be sure to check out the amazing deal on Unimom breast pumps for readers of The Natural Parent Magazine, at the end of the article! 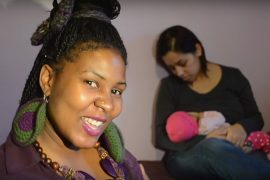 Breastfeeding is always the number one option for babies and provides all your baby’s needs in the first 6 months of life. The right breast pump can be a great breastfeeding aid in times of need. Mothers choose to use a breast pump for many reasons, such as to increase milk supply and maintain a sufficient supply of milk, to provide milk for a premature baby, to induce lactation for an adopted baby and even to store milk for baby when not breastfeeding. For occasional use. Very convenient and portable with less cost. Look for one that only needs one hand to operate, like the Unimom Mezzo manual breast pump. It is easy to assemble, only needs one hand to operate and has an easy grip handle. Designed for part time expressing. Usually up to 4-5 times per day. Runs via battery or AC adapter. Smaller and portable. Some can be very noisy, especially if the motor is attached to the breast shield. Ones with an air tube between the motor and breast shield are usually quieter. The Unimom Allegro has a bonus in-built rechargeable battery which charges every time the pump is plugged in. This gives up to 2 hours of portable pumping life. The noise is a soft vibrating noise which is very inoffensive and can be used in public without making a racket! The Unimom Minuet is an even smaller and quieter pump with an informative LCD screen and USB charging port. The Minuet is an upgraded version of the Allegro with 2 phase massager and expressing mode. 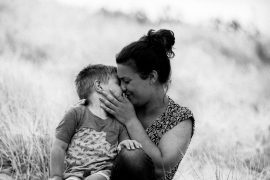 This type may be required for a mother who needs to express full time, long term. Hospital grade pumps are designed with a type of motor that endures a lot of use, and has a wider suction range. They are not as portable as a mini electric pump and use AC adapter only. 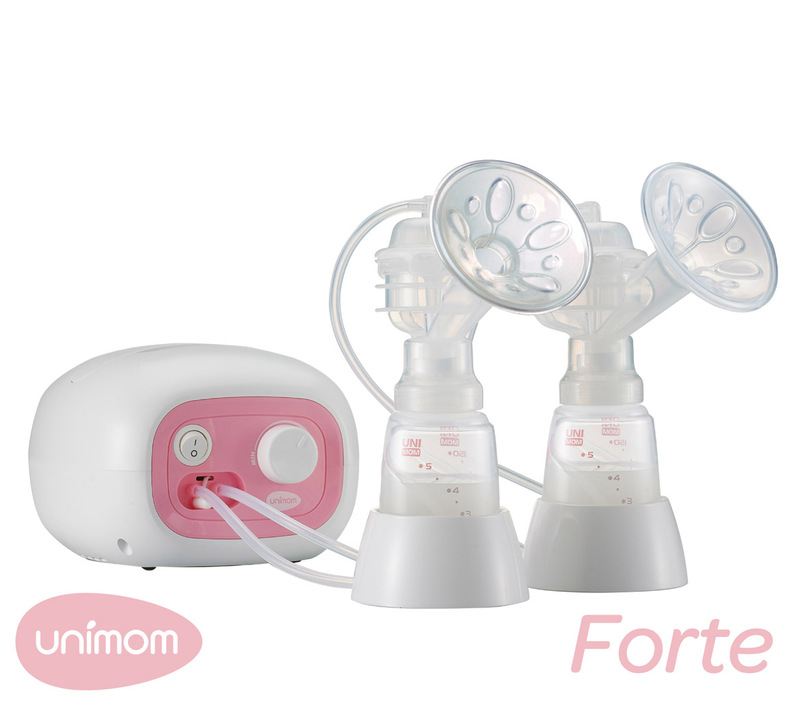 The Unimom Forte hospital grade pump is quiet and very efficient. It is built as compact as can be, making it quite portable and convenient. The Unimom Carry Bag is a great accessory to have for storing your pump and consumable parts. 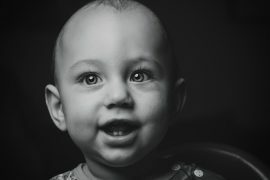 These endocrine-disrupting chemicals are super nasty and are increasingly being shown to have far-reaching health effects, so you definitely do not want them anywhere near your baby (or yourself!). Your breast pump should have a hygienic closed system. This means that no milk will never enter your breast pump motor causing damage or bacteria build up and mould inside. It is important that it does not only have a closed filter, it needs to have a milk back flow protector that is a fully closed system. Unimom is a popular choice of breastfeeding products because of high quality standards, affordability, eco friendliness and excellent customer reviews. The entire pump cover and accessories are made of BPA-free, phthalates-free and lead-free materials, making Unimom unique. 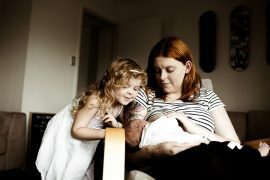 Used in hospitals and approved by lactation consultants, midwives and other health professionals. Unimom is an excellent choice for comfort and successful breastfeeding. For more information visit www.unimom.co.nz and find your nearest retailer. 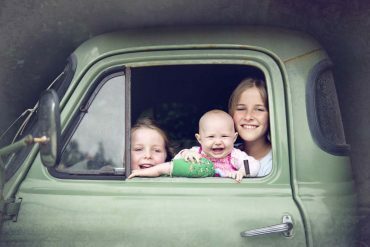 Giggle Parenting: The Best ‘Discipline’ Tool Out There!